Soil Gnats are a common problem with interior plants. They lack the natural predators indoors which allows for them to take hold. Fortunately they are easily controlled. Soil gnats typically thrive in moist soils. So your first line of defence is to dry out the soil by reducing irrigation frequency and/or run times. A quick method to kill the gnats and to also stop other insects such as mealy bugs. – Spray rubbing alcohol once a day for a week– If you don’t like the odor you can try using cheap vodka, or top shelf brand if you fancy a particular fine smelling infusion. Repeat treatments everyday for 4 days in a which should be longer than their hatching cycle. Also check for other obvious sources for gnats outside the living wall such as garbage or fruit sitting out. To control flies in general, keep carnivorous plants. Carnivorous plants like to grow in boggy moss and perlite and will need part sun or keep under a bright grow light on a 12hr daily timer. Mealybugs are small white insects that look fuzzy on your leaves. They can be easily killed by simply wiping them off with a rag. You can use a small bristle paint brush to get in the tighter areas. A light spray of alcohol will also kill them. Treat the entire plant daily for 4 days in a row to wipe out young ones and end their breeding cycle. 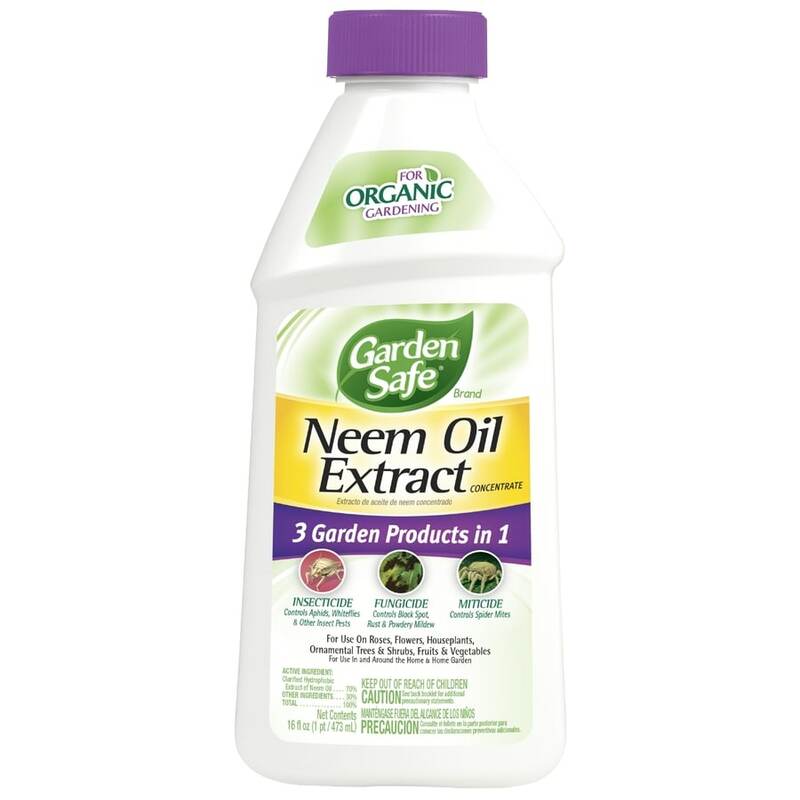 Garden Safe brand Neem Oil Extract is a great product to have for all your pest needs. Unlike regular neem oil this concentrate does not have that awful smell. And it works as a great leaf glosser for your big leafed tropicals. However be careful with lighter foliage such as maidenhair ferns that can’t take it. Always test small areas of plants first before treating and an entire area. Neem Oil can create a sticky mess so shield all areas prior to application. Also it can have a strange smell. Not necessarily bad. But not for everyone. Test a small area to make sure everyone is ok with it. The smell will dissipate after a few days.